When you plan on building a home it’s not a decision you make in haste. A home represents a major investment and you need to get everything from the location, financing, planning and designing right; and that means you need to hire the right architect and a great general construction contractor for the job. We at Productive Quality Construction are a property maintenance and full-service construction company situated in Atlanta, GA. Over the years, we have built a very solid customer base here and cater to clients in and around the entire metro Atlanta area. We also serve customers in Gresham Park, Druid Hills, Decatur and North Decatur; and have successfully completed projects across North Druid Hills and East Point, as well as Belvedere Park. Our company has also handled a significant number of projects in Panthersville, College Park, North Atlanta, and the surrounding areas. We have the expertise, knowledge, skills, experience and the resources to handle all types of general construction jobs ranging from new builds to remodeling and extension projects, In addition, we also handle small-scale commercial construction jobs as well. Detailing and Meticulousness - All our designers, trades people and other staff are focused on details. You will find that we are very meticulous when it comes to understanding what your ideas for your home are and incorporating those ideas into the final product. We work very closely with your architect to make sure that your vision is given form and your home is exactly as you envisioned it to be. High-Quality Workmanship - While choosing hardy and durable materials is crucial to the sustainability and stability of the structure, it's important to have experienced professionals handling the work. Each one of our technicians are handpicked and has extensive experience and expertise in their respective skills. Our on-site supervisors make sure that every job is completed to the highest standards and as per code. 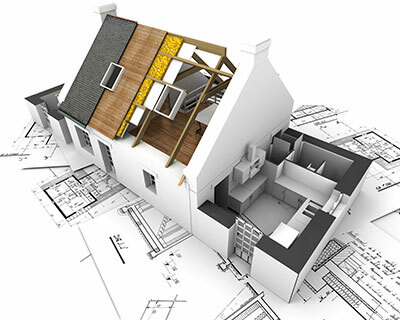 Project Management - Home construction projects can easily go off-track and run over schedule as well as over-budget. We recognize this and follow a very detailed project management process; the focus is on efficiency, safety, high quality and timely completion of the project. Since we carefully monitor every single stage of the project, it's possible to spot problems early and fix them before they get out of hand. We are the general construction company that can handle jobs such as additions and extensions with the same levels of dedication and expertise that we handle large-scale projects. If you are looking for high-quality, customized general construction services, Productive Quality Construction is the company to contact. Feel free to call us on 770-217-7560 and discuss your project details with one of our experts. We provide end-to-end solutions at very cost-effective general construction cost.